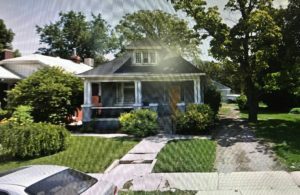 The petitioner owns two lots: 1937 South 1200 East, which is currently zoned RMF 35, and the lot to the south zoned RMF 45. He wants to build 14-16 for rent townhomes on the combined parcels. If the northern parcel remains RMF 35, the city tells him those have to be aligned East/West on the property, and he would only be able to build five. If the two parcels were each zoned RMF 45, he could combine the lots and put two rows of townhomes north/south on the parcels, and fit 14-16 units on the property. This is a request for a rezone. We are not asked to approve any site plan at this point. We will be writing a letter to the Planning Commission about this project. Pleasesend your feedback to judi.short@gmail.com. Thanks!